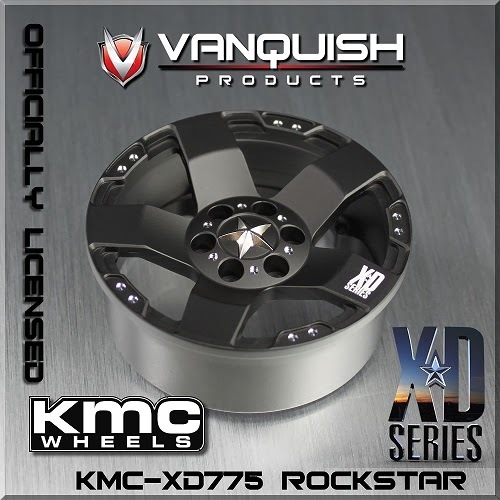 Vanquish Products had offically licensed 2.2 KMC XD775 ROCKSTAR wheels (part# VPS07035). 2 aluminum internal bead retainer rings that incorporate a air relief channel. Allows free flowing air to escape the wheel if it is drilled to allow venting. All hardware for beadlock rings, and hubs. includes 2 extra long screws to start the mounting process, then replace with short screws. Be sure to order slw style hubs to fit to your 12mm wheel hex. New design works with 225 hubs.